New clues may help improve speech for people with dysarthria, a type of speech disorder commonly found in patients with amyotrophic lateral sclerosis (ALS). 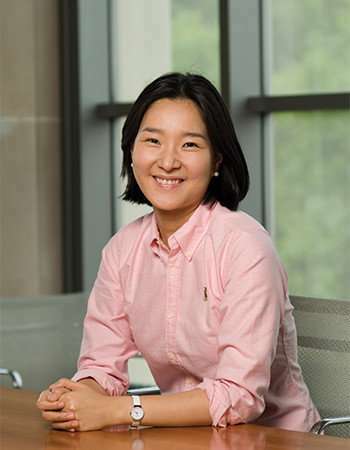 Findings in a study led by Jimin Lee, assistant professor of communication sciences and disorders at Penn State, could aid patients with dysarthria. Dysarthria can cause slurred speech, slowed speech, abnormal pitch and rhythm, changes in voice quality and limited tongue, lip or jaw movement, according to the American Speech-Language-Hearing Association. Dysarthria has the highest prevalence rate among all types of acquired neurogenic communication disorders. By analyzing the size of the space used by each articulator (tongue, lip and jaw) while study participants read a paragraph that includes all sounds in American English, Lee found that in people with more severe dysarthria due to ALS, tongue range of motion is reduced, while range of motion for the lower lip and jaw both increase. This measurement could be useful for estimating speech dysfunction and determining treatment to improve speech in patients with ALS or other neurological conditions, such as Parkinson's disease, cerebral palsy and multiple sclerosis. "This highlights the importance of range of motion for speech production, and indicates that if we change range of motion in people with the disorder, if we ask them to expand their overall work space for speech production, then we may see more understandable speech," Lee said. "The difference in range of motion in people with dysarthria has been largely assumed, but had not been directly tested. It is exciting to provide empirical evidence based on the movement of articulators. Additionally, the study provides important evidence regarding the different amount of impairment across articulators as well as its high sensitivity to the severity of dysarthria. This has values for both intervention and diagnosis of dysarthria." The study, which included 22 ALS patients, is an extension of a previous study that involved 14 people with ALS. The American Journal of Speech-Language Pathology published the latest findings online this week. Researchers conducted both studies using an instrument to analyze patients' speech disorders, which measures the movement of tongue, lips and jaw using an electromagnetic field while simultaneously recording acoustic signals. The instrument is a 3-D, portable electromagnetic articulograph—also called the Wave system. Sensors are attached to a patient's tongue to trace its movement during speech production. Patients are asked to read a specific set of words and sentences. The tool also is connected to a microphone and computer, which stores the data. "The ultimate goal is to develop effective intervention for people with dysarthria. In order to help people with ALS use their speech as long as possible, we will continue to identify what types of movement will generate speech signals that are easier to understand," Lee said. "The majority of people with ALS lose their speech during the progression of the disease. Their tongue function deteriorates fast but the jaw function is relatively preserved, and these two articulators work together for speech production. Thus, we are trying to find a way to enhance their speech intelligibility by looking at tongue and jaw movement characteristics simultaneously."